I read this article and found it very interesting, thought it might be something for you. 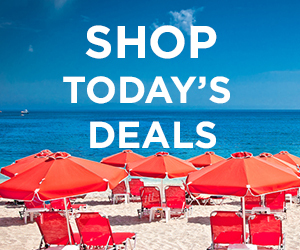 The article is called Find discounted tickets to fall’s biggest events and is located at https://www.cheaptickets.com/blog/2015/09/find-discounted-tickets-to-falls-biggest-events/. Forget pumpkin carving and apple picking, your wish list of things to do this fall is a bit more ambitious. You are hoping to catch that once-in-a-blue-moon soccer game, or hit up an Oktoberfest at a legit brewery. You want to attend a huge charity concert in Central Park, and see a world religious leader speak. Sure, sure, you’ll check out the beautiful foliage along the way. You just need a little help getting there—financially that is. 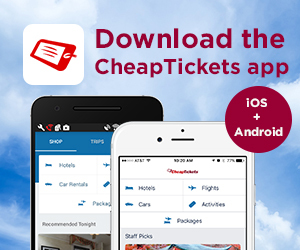 Cheap Tickets has your back. Check out the event ticket part of Cheaptickets.com, and use the promo code TICKETS10 for 10% off. Bird’s-eye-view of the 2014 Global Citizens Festival. Courtesy of Anthony Quintano. Headliners of this annual festival include Beyoncé, Coldplay (sold! ), Pearl Jam and Ed Sheeran. If that’s not star-studded enough, tack on a list of hosts that includes Stephen Colbert, Salma Hayek, Hugh Jackman, Kerry Washington and Olivia Wilde. Proceeds go toward the eradication of extreme poverty. Iggy Azalea performs at Austin City Limits. Courtesy of Ralph Arvesen. Leave it to Austin City Limits to pack in the most musical goodness into two weekends as humanly possible. Acts such as Drake, Foo Fighters, Alt-J, Hozier, Modest Mouse, The Decemberists, A$AP Rocky, and Walk the Moon will be gracing the stage, just to name a few. It’s important to save money on the ticket purchase since hotel rates will likely go up during these two weekends as well. Don your lederhosen and raise your glass for Sierra Nevada Brewing Co.’s Oktoberfest celebration. This is the first year the festival will span three days, and a fabulous alternative to forking out the cash to travel across the pond to Germany. Prost! U.S. Men’s National Team in 2013. Courtesy of Erik Drost. More than 90,000 fans are expected to turn out for this high-stakes clash against the U.S. Men’s’ National Team and Mexico. A win here will be the USMNT’s ticket to the Confederations Cup in Russia, which will let the team scope out the stage they’ll be entering in World Cup 2018. Teams that make it to the Confederations Cup always have an advantage in the subsequent World Cup, and the USMNT is gunning for it. An American in Paris. Courtesy of James Joel. The story of an American World War II veteran in Paris trying to make a name for himself as a painter, who falls in love with a French girl. Gene Kelly made the musical famous with the 1951 movie, and Broadway will bring it to life again this fall. Critics are saying it’s not to be missed. If you can score tickets to this game, you’re the envy of tens of thousands of Ohio State and Michigan fans. 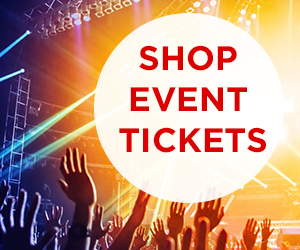 In fact, if you’ve spent too much money on other fall events, you’ll do yourself a favor and resell these tickets. But if you care at all about college football, this game is not to be missed. The OSU/Michigan rivalry is heralded as one of the thickest competitions in the sport, transcending generations.